The Keurig coffee maker comes with 4 K-Cup pods, a water filter handle, two water filters, and a bottle of descaling solution. 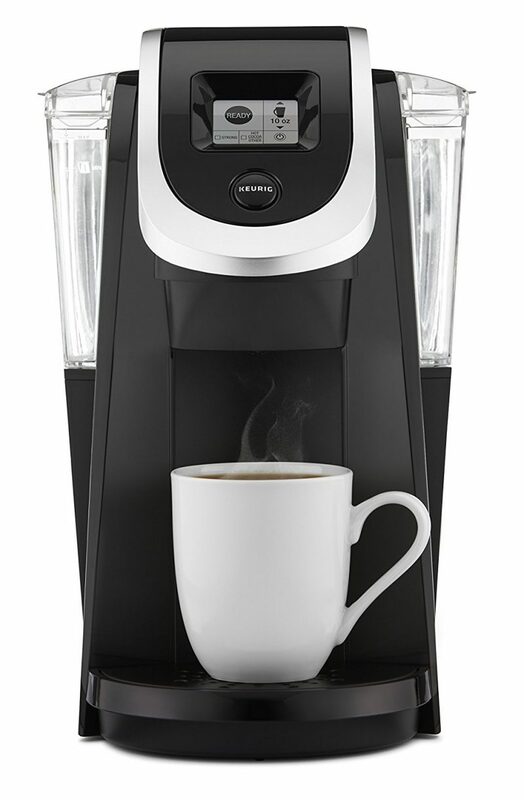 Keurig’s updated style also features a 40 oz. water reservoir, which stores up to four cups of water for brewing. The reservoir is also removable for easy cleaning. Brew sizes for the single serve Keurig coffee maker include 4, 6, 8, and 10. oz. You can also brew a carafe of 22, 26, or 30 oz. using K-Carafe pods. 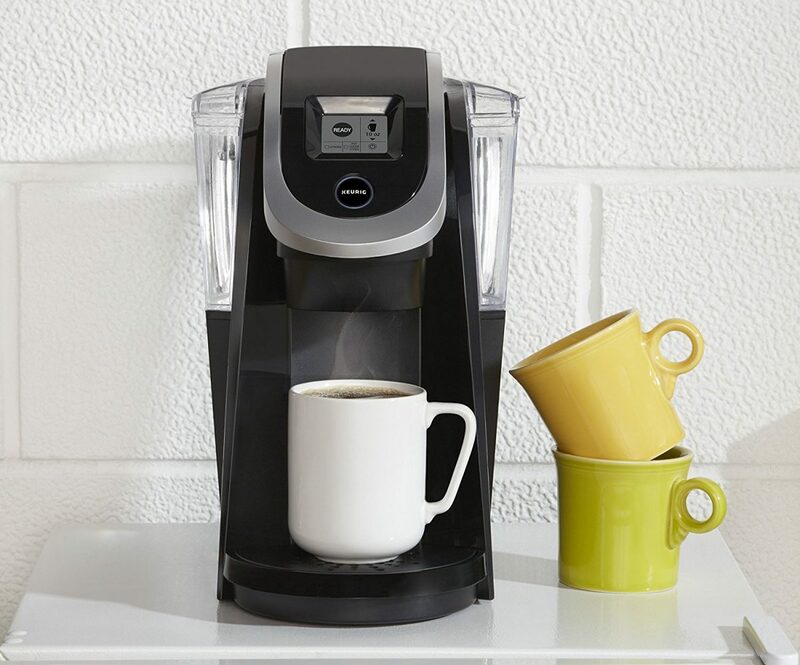 In addition, Keurig has a strength control, which enables you to brew a bolder cup. A removable drip tray is easy to clean and catches any excess drips.